In December 2010 I had to work for a few days in Colombo. I’d visited Sri Lanka back in 2000 for a short vacation but still had a long list of animals I wanted to see including Grey and Red Slender Lorises, Golden Palm Civet, Fishing and Rusty-Spotted Cats. All of these species are quite findable it seems, with time. But I didn’t have much of that … I had run out of holidays for the year. Where there is a will there is a way however, and I figured I could squeeze in a 72 hour trip. So, on the advice of Phil Telfer (see his trip report), I contacted the Bird and Wildlife Team and asked if Uditha was free to guide me. He was. 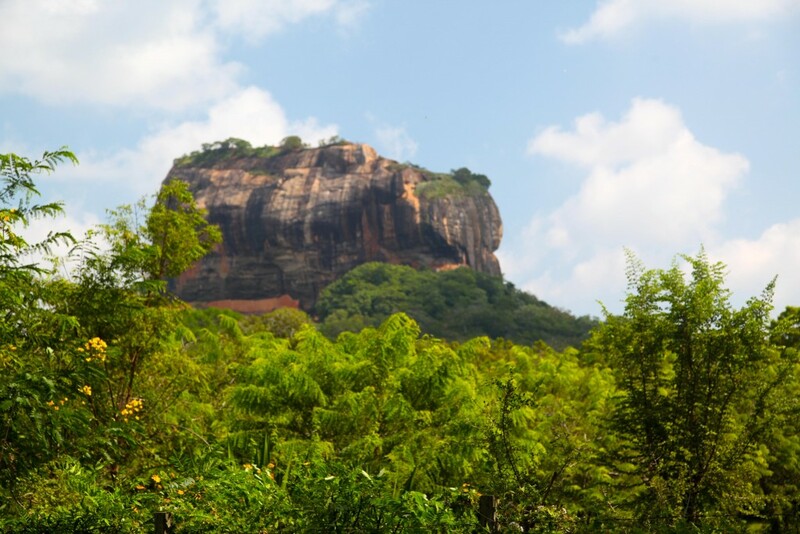 Given the shortage of time Uditha recommended we focus our effort around the town of Sigiriya and we headed out of Colombo on a thursday evening. It ought to have taken four hours to get to Sigiriya, but heavy traffic around Colombo and recent heavy rain – which had turned sections of the road into one large pothole with just a light dusting of tarmac – meant it took over four hours. We got to our hotel after 1 a.m. but both Udi and Chandana, our driver, were ready to head out for another two hours spotlighting after we checked in. Dedication beyond the call of duty. On Friday, Saturday and Sunday we spent both the mornings and late afternoons in the field, and took long spotlighting sessions from dusk til 3 a.m. on both Friday and Saturday. We had a brief spotlight on Sunday before heading back to Colombo. I won’t give details of all the sites we visited in deference to Uditha who was concerned that others will start using them and chase off the animals (as has happened in the past). The sites are also Uditha’s livelihood. But if you are heading to Sri Lanka for a fairly short trip I recommend Uditha and the Bird and Wildlife Team whole-heartedly. Although travel as one person on a tour like this is quite expensive, the results speak for themselves: we saw what I thought was a remarkable 31 species of mammals in 72 hours (and in fact Uditha saw a couple more). When I got back to Colombo I stayed a night at the Airport Garden Hotel and finally saw a Brown Mongoose when I driving out of the hotel in a taxi for the airport. One of the nice things about Sri Lanka is that it has a relatively limited (by Asian standards) set of bats and rodents. This means you have a reasonable chance of identifying many species you come across in the field on the basis of appearance and their habitat. 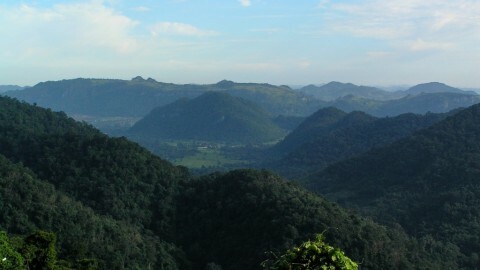 For instance a number of Sri Lanka’s rodents are limited to high altitudes. We stayed at the Sigiriya Rest House, which was perfectly adequate and very quiet. Udi had tried to book us into the bigger and more popular Sigiriya Hotel but there wasn’t space. We spent a fair bit of time in that hotel’s garden though, because it is a good site for Brown Mongoose, with a number of other mammals common there too. Uditha knew several bat roosts around Sigiriya though unfortunately some of them were unoccupied. 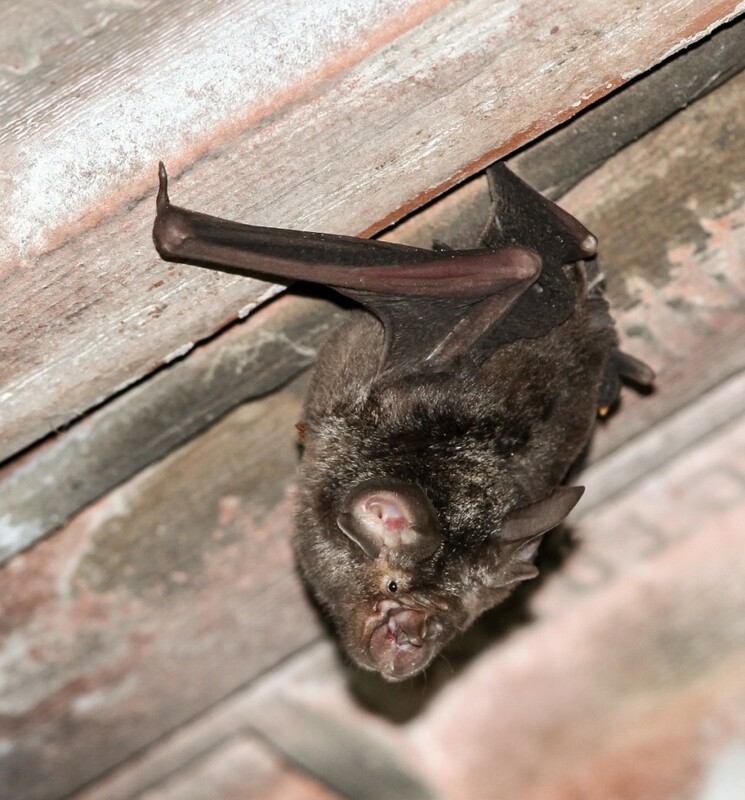 He did find an abandoned house in the village though that contained many Rufous Horseshoes (Rhinolophus rouxii) and fewer Indian Woolly Bats (Rhinolophus beddomei). 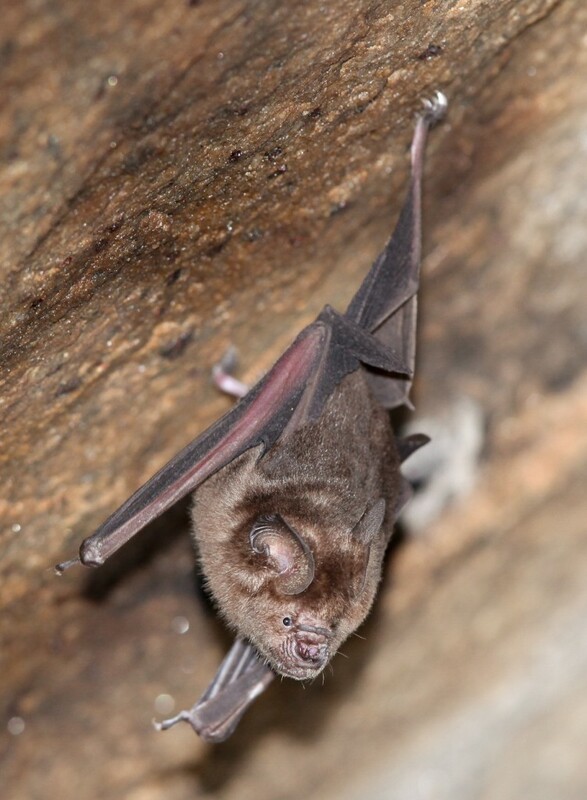 It also housed a small group of Lesser False Vampires. The Pidurangala temples nearby were also good at night for bats (we didn’t go in the daytime). Stone steps lead up the hill behind the ranger’s house. At the top of the first flight are a couple of out-buildings. 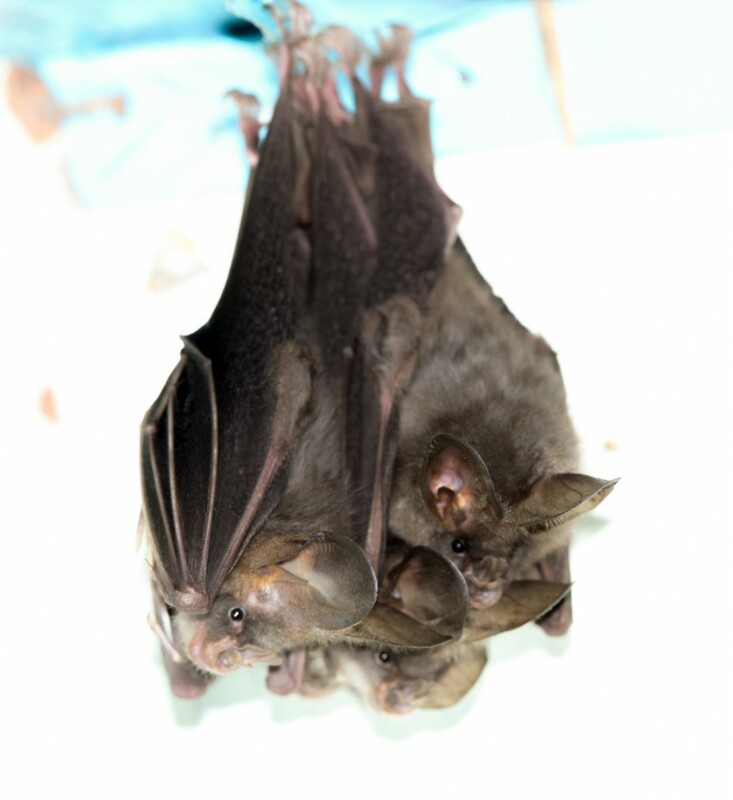 One of which contained a small colony of Black-bearded Tomb bats. 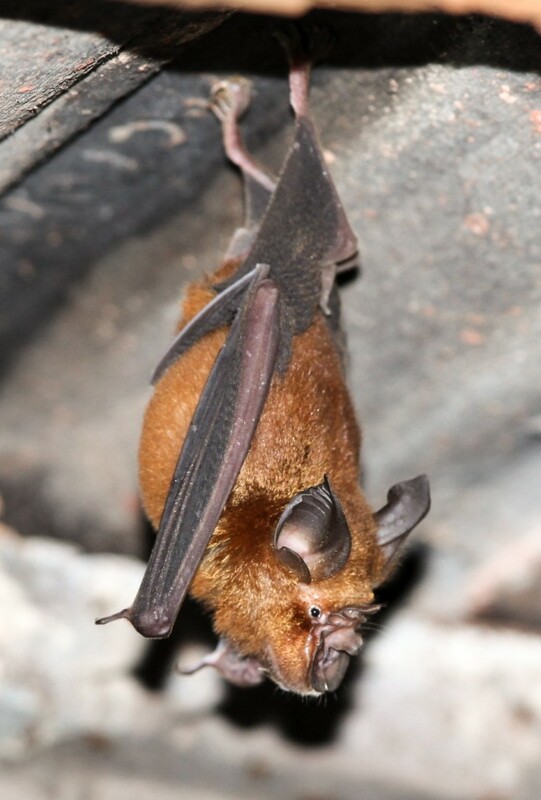 The room next door had Schneider’s Roundleaf Bats. 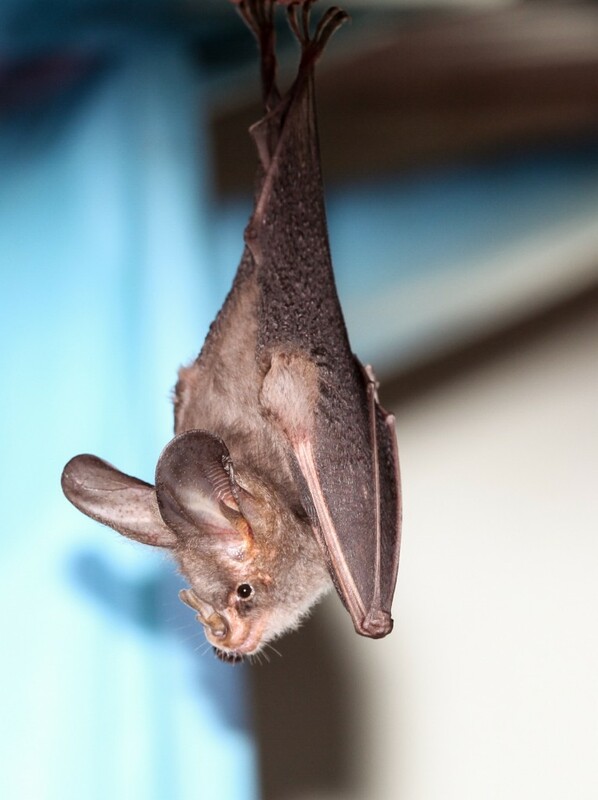 Udi found a few Least Pipistrelles (Pipistrellus tenuis) roosting behind the fly screen of one of the windows of the Sigiriya Resthouse. Some were alive but hard to photograph without removing them (which would have been all but impossible), but several were dead and could be extracted. They were small, with a forearm of about 27 mm, and appeared to be too dark to be Indian Pipistrelles. 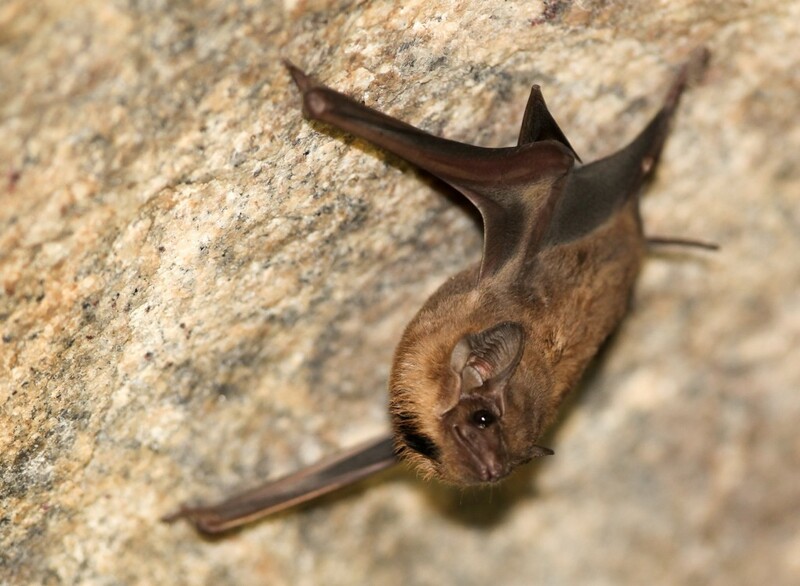 During our night drives we saw several Indian Flying Foxes and a few Painted Bats, easily recognisable in flight by their distinctively bright red bodies. Udi does find them roosting in curled up banana leaves from time to time but we didn’t find any. Udi was remarkably good at spotting rodents. 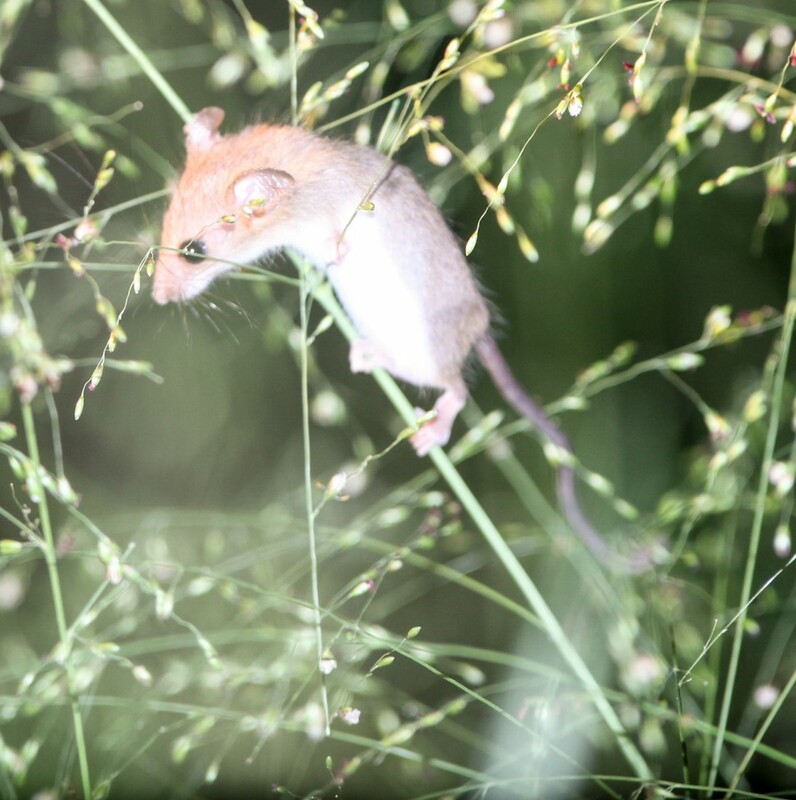 He picked up an Asiatic Long-tailed Climbing Mouse (Vandeleuria oleracea) while we were spotlighting from a vehicle, and also a Blanford’s Rat (Cremnomys blanfordi) while we were walking around an arboretum in search of lorises. He also spotted a Greater Bandicoot Rat that ran in front of the car one night, though I missed it. Sri Lankan Giant Squirrels were abundant around the Sigiriya Hotel and village. The little Three-striped Palm Squirrels were common too. And it was no problem to find a Giant Indian Flying Squirrel near the moat around Sigiriya Fort at dusk. 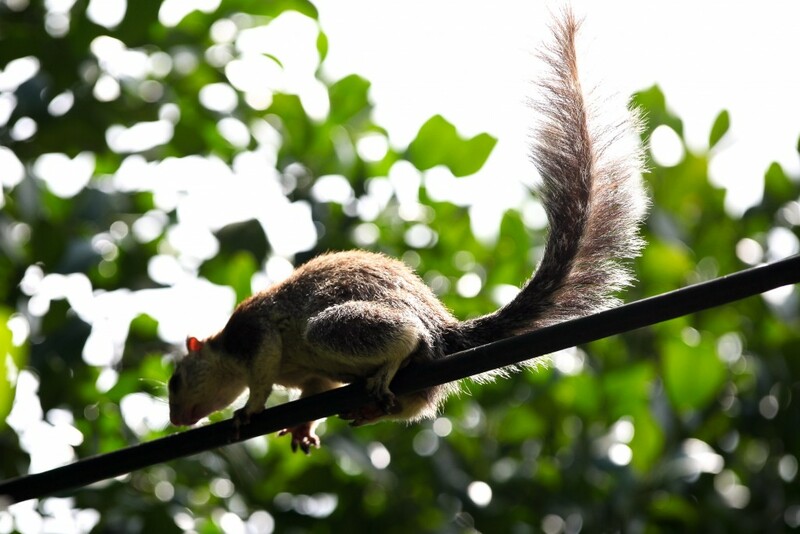 The other squirrel species in Sri Lanka, including the Travancore Flying Squirrel, are mainly found in wet forest. Indian Hares were the most frequently observed mammal and we say several on every night drive. Golden Jackal: we saw one on the edge of a paddy field late at night which caused a little excitement at first when we thought it was a Fishing Cat. Rusty-spotted Cat: one of the highlights of our second night drive, though the view was fleeting. An animal crossed the road in front of us in some forest a few kilometres from Sigiriya Village. 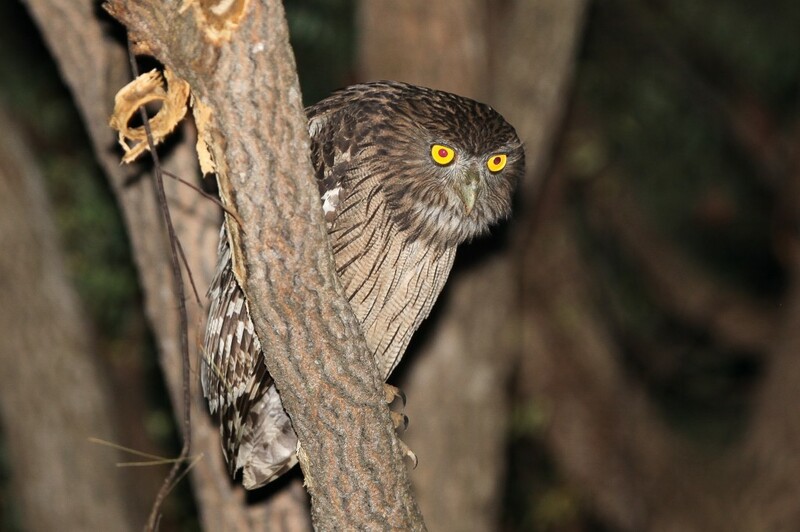 Sightings of this species are by no means guaranteed quickly around Sigiriya. Ruddy Mongooses are common and apparently easy to see in the grounds of the Sigiriya Hotel. I wasn’t looking for them, though we saw one early in the morning there while looking for a Brown Mongoose. 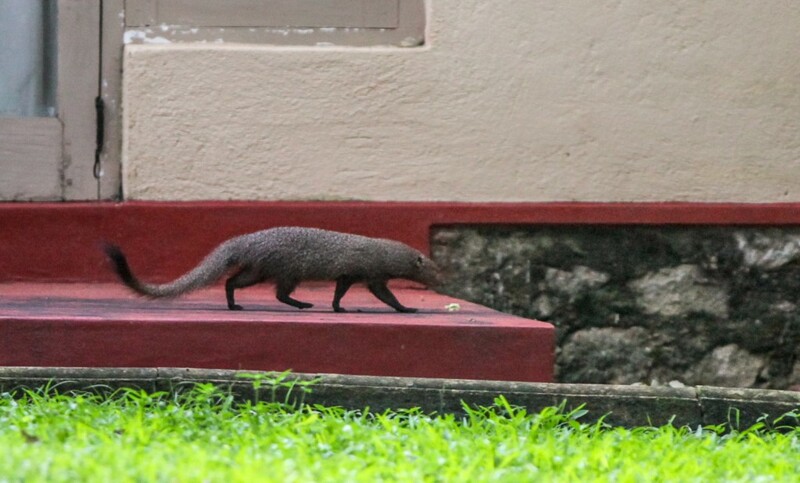 Indian Gray Mongoose are also common and apparently easy to see in the grounds of the Sigiriya Hotel. We saw a couple in the Sigiriya Village Hotel in the mid morning. Indian Brown Mongoose are reputedly very common around the Sigiriya Garden and Village Hotels though the only one I saw was back in Colombo at the Airport Garden Hotel, just as I was leaving the entrance gate in a taxi. Eurasian Otter: we saw one animal late at night swimming around a paddy field. Not a common sighting. Small Indian Civets were seen each night and were especially common in the arboretum while we were looking for lorises. Golden Palm Civet: this was one of my two key species for the trip and we eventually found one on our last evening at a good site for this species near Sigiriya. There is some taxonomic debate about the species, with some claiming there are three or four species in Sri Lanka. This was one of the golden subspecies. Asian Palm Civets were seen every night. 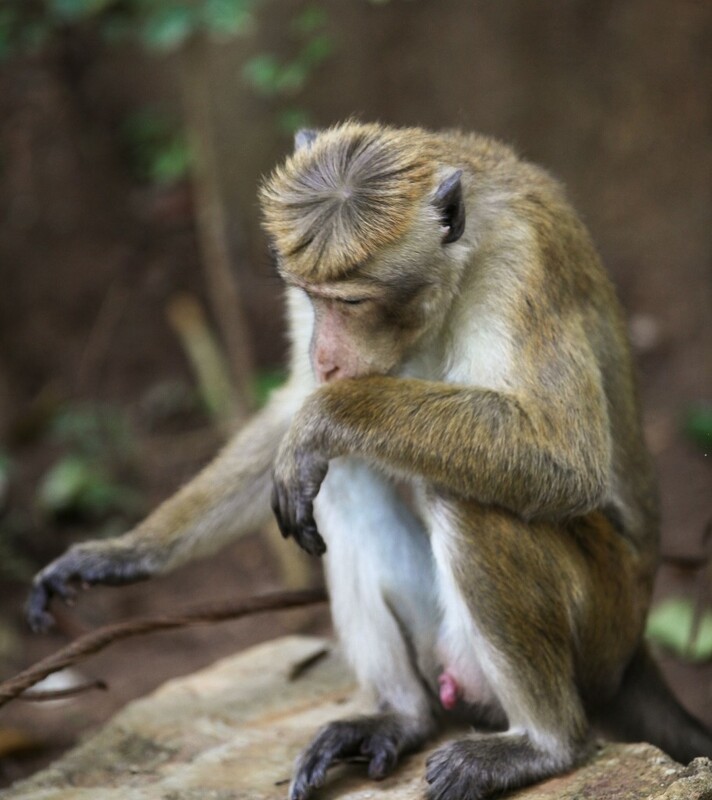 Toque Macaques are common around the Sigiriya Hotel. 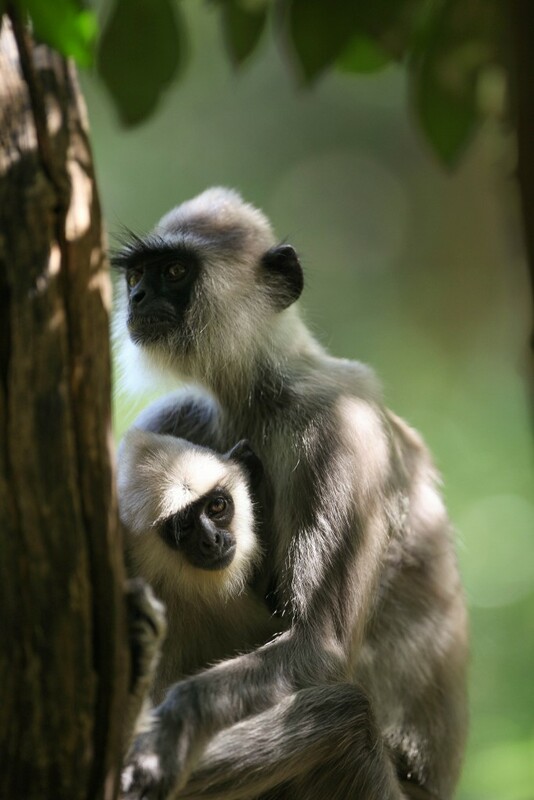 Tufted Gray Langurs are also common around the Sigiriya Hotel. 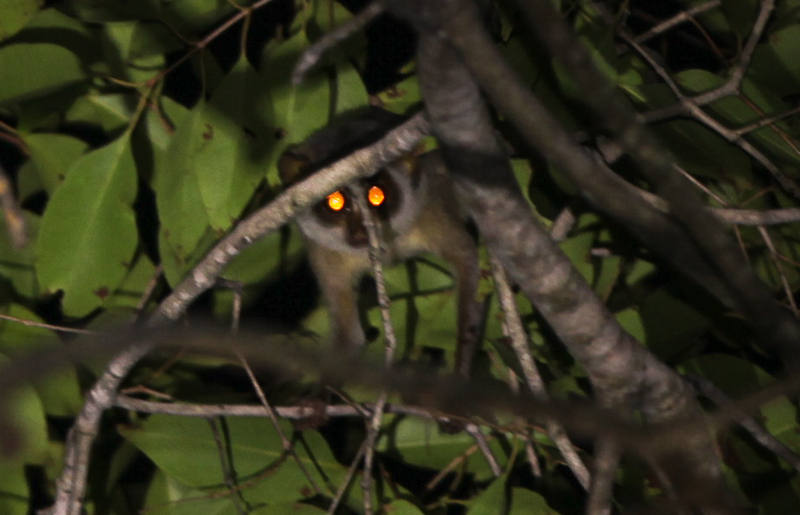 Grey Slender Loris was the other of my two key species for the trip. They are quite widespread but surprisingly shy and hard to see. Udi knows some good locations for this species however and we saw a couple in an arboretum about 45 minutes from Sigiriya. Chital (Axis Deer): there were a few around the arboretum and the Sigiriya Fort moat late at night. Sambar: we saw just one in the forest. 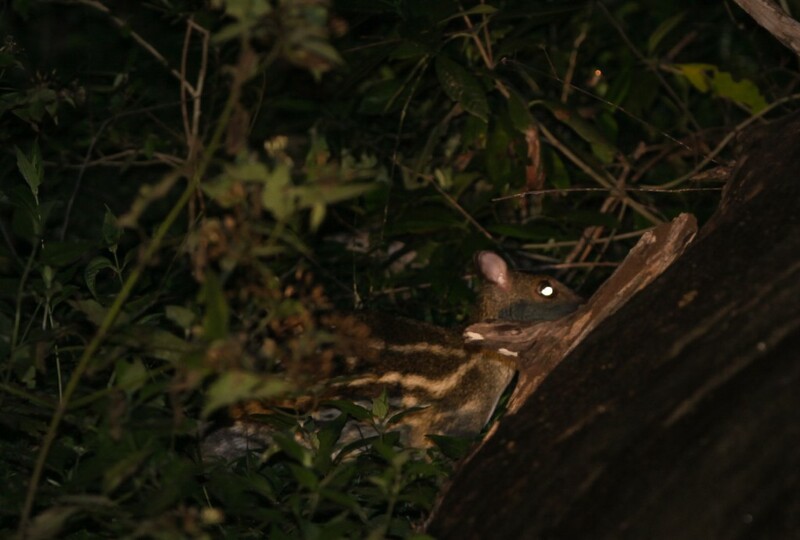 White-Spotted Chevrotain are abundant and we saw as many as 20 one night. They are widespread but particularly plentiful in the arboretum. Asian Elephant: Udi was quite wary of running into these during the evenings when they venture out of the forest. We only saw one, on some agricultural land late at night. Given the lightning visit, and my fairly vague expectations, I did not miss very much really. I had half-hoped to see a Fishing Cat and while possible this was always a long shot. They are easier to see elsewhere, like near Yala. A roosting Painted Bat would have been nice too. 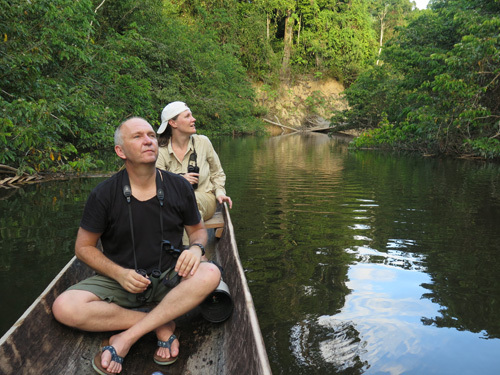 Other species I would like to go back for – but which will need time searching in the wetter forest – are Red Slender Lorises, Yellow-spotted Chevrotain, Travancore Flying Squirrel and Dusky Striped Squirrel. 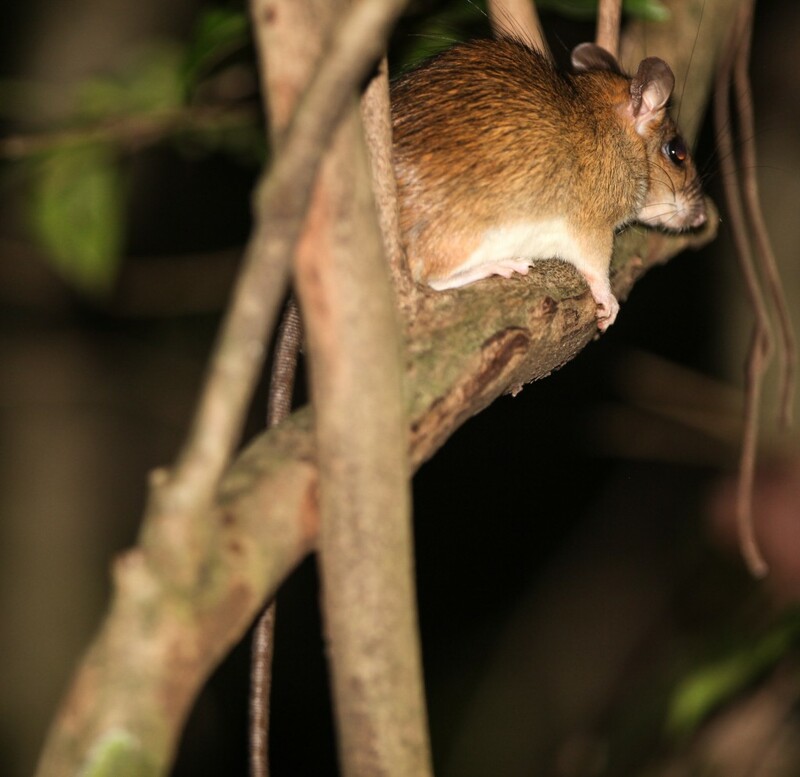 Udi also saw a Greater Bandicoot Rat and one of the brown-coloured Golden Palm Civets which may be a distinct species.